For years, remnant structures from Buffalo’s past have haunted the streets and neighborhoods of its present. 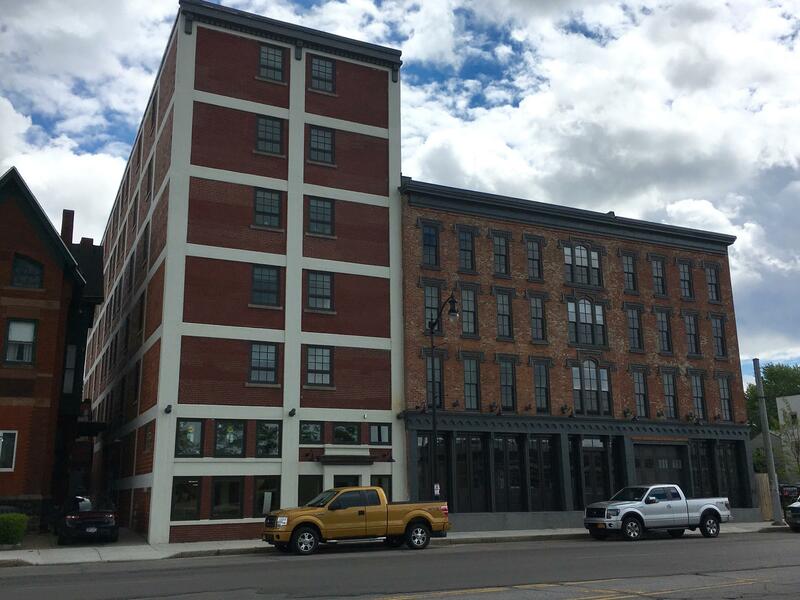 But thanks, in part, to the Erie County Industrial Development Agency’s adaptive reuse program, that’s changing for many neighborhoods. 48 adaptive reuse projects have been approved since the ECIDA created its adaptive reuse strategy in 2008. The program allows the ECIDA to offer tax incentives for the rehabilitation of buildings that are at least 20 years old and have been empty for three years or more. The structures are often functionally obsolete and suffering from long-time neglect. The results can present unforeseen restoration costs for developers. Weathers said the tax incentives help offset the costs for developers, taking a project that would otherwise be financially unappealing and making it feasible. The intent is for adaptive reuse sites to become an asset and a benefit to the public, and before the work is done on any building, community meetings are held to gain input from neighborhood residents and businesses. 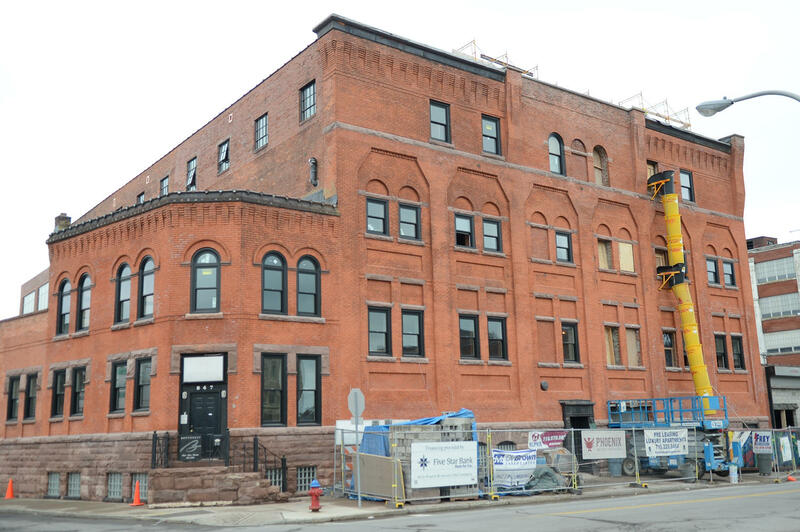 The former Phoenix brewery at 835 Washington Street in the City of Buffalo is being redeveloped into 30 luxury apartments. On Wednesday, the ECIDA hosted a bus tour of four adaptive reuse sites in the City of Buffalo to show community stakeholders the fruits of the agency’s labor. Christina Lopez, director of business services for the Buffalo and Erie County Workforce Development Consortium, was among the group. She said she took the tour to gain knowledge about adaptive reuse and discover what resources it can offer the community’s workforce. What Lopez first found out is that there is a lot of creative redevelopment taking place in some of the community’s older buildings – sites she said people often take for granted. Lopez was referring to the former Phoenix Brewery at 835 Washington Street. It was the tour’s first stop. The site is still under construction and being turned into 30 luxury apartments – each with a unique floorplan. Weathers said its one example of adaptive reuse’s ability to maintain the history of the area in a new and unique residential design. “It shows that heritage. It shows that manufacturing, that industrial look, the loft look. It’s much different than just a standard kind of square apartment. I think it shows more character in the community than you might otherwise know," said Weathers. The Turner Brothers Lofts at 295 Niagara Street is made up of five historic buildings. The tour continued on to 295 Niagara Street, where a series of five historic structures have been turned into 40 one and two-bedroom apartments. According to the ECIDA, all the spaces have been leased ahead of the building’s official opening. 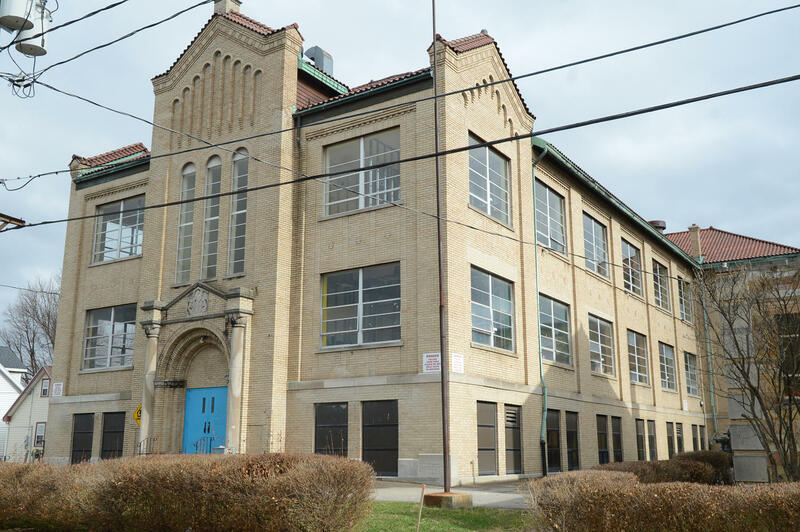 On the third stop at the former St. Thomas Aquinas church complex and school at 31 Tamarack Street in South Buffalo, Lopez discovered that while Buffalo’s redevelopment may appear to be in full swing, there aren’t necessarily enough people with the skills to support it. The former St. Thomas Aquinas Church complex and school at 31 Tamarack Street is being converted into 32 market-rate apartments. Lopez said she got the opportunity during the tour to brainstorm on how to get more workers into the skilled trades, so developers can expand their work in adaptive reuse. In addition to the building trades, Lopez said she also sees good opportunities for jobs in property management and grounds keeping after rehabilitation is complete. At the tour’s final stop – 500 Seneca Street – Lopez and her fellow sightseers saw the after-effects of adaptive reuse. 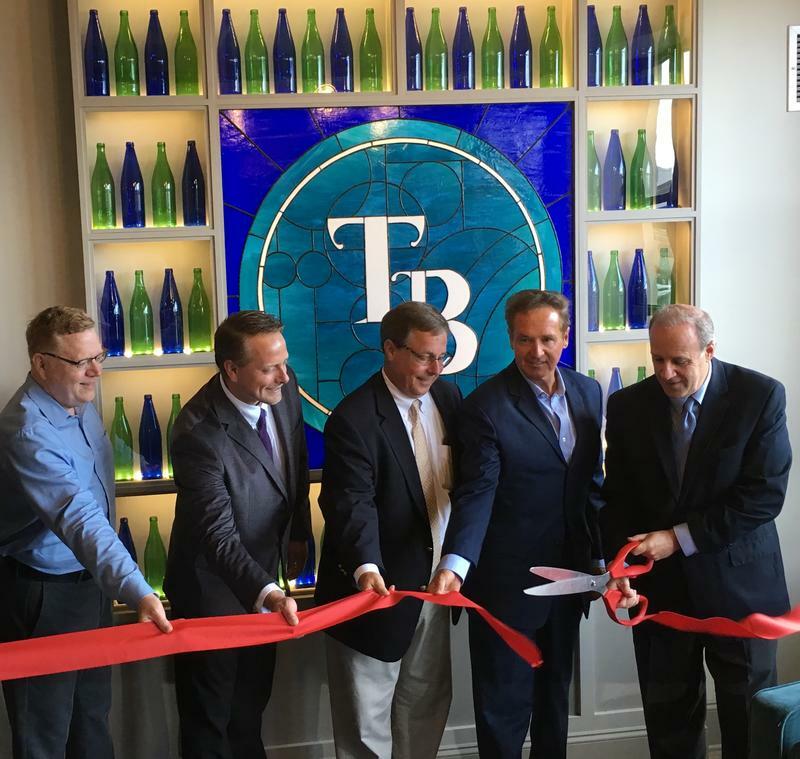 The former contaminated brownfield site is now 300,000 square feet filled with active businesses. Weathers said the reuse helped spur the development of a neighboring building by a private developer from out of state. To date, the ECIDA reported $400 million in private investment has been generated through adaptive reuse, and 2.4 million square feet of rehabilitated space has been created. (From left to right) At 500 Seneca Street: The exterior, the atrium in the center of the building, a hallway between some of the building's many businesses. 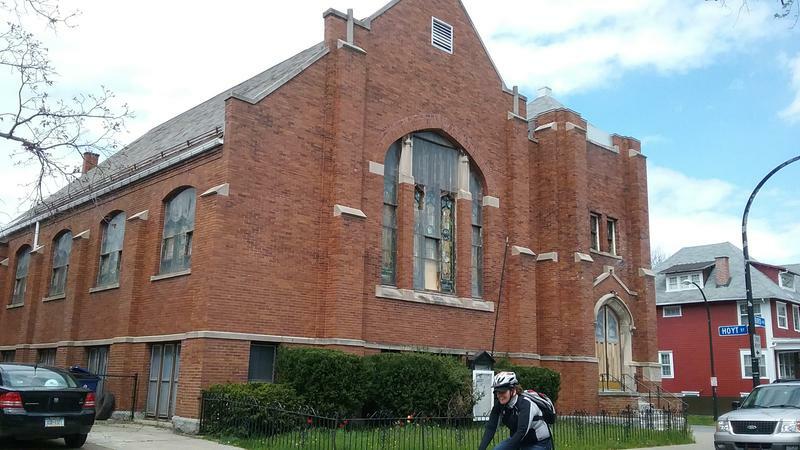 A long-closed and seemingly vandalized church at Bird and Hoyt will be turned into apartments under plans starting the process through the City Planning Board. With more and more older buildings being converted to housing, adaptive reuse of structures originally built as factories, warehouses or electrical substations, architects have to deal with noise issues.